Skin cancer is the most common kind of cancer, with more new cases each year than all other cancers combined. 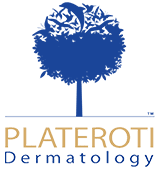 Because it’s so common, it’s vital that you watch for skin changes closely and have regular skin cancer screenings at Plateroti Dermatology in Templeton, California. If you have skin cancer, highly skilled dermatologist Carmelo Plateroti, DO, FAOCD, FAAD, is a Mohs surgery specialist who can help. Book your appointment online or by phone today. When you check your skin at home (ideally, at least once a month), the main thing to watch for is brand-new moles or changes in your current moles. Look for changes in the size, shape, colors, and symmetry of your current moles. Although changes or new moles don’t always indicate skin cancer, you definitely need to have Dr. Plateroti check you out in either situation. With skin cancer treatment, the goal is complete removal of the affected skin cells. With traditional mole excisions, you can lose not just the cancerous growth but some healthy tissue, as well. That’s why Plateroti Dermatology treats skin cancer with Mohs surgery, a specialty surgery that removes tissue incrementally until the skin cancer is gone to leave your healthy tissue undisturbed. Mohs surgery treats basal cell carcinoma, squamous cell carcinoma, and some types of melanoma. At Plateroti Dermatology, Dr. Plateroti personally performs all Mohs surgery procedures. Dr. Plateroti has specialized training in Mohs surgery, which allows him to treat skin cancer more effectively than traditional excision. First, Dr. Plateroti cleans the treatment area and administers a local anesthetic. You’ll feel numb and pain-free for the duration of your Mohs surgery, although you may feel some slight pressure at times. Dr. Plateroti can administer more anesthetic at any point during the Mohs surgery process if you need it. Using a scalpel, Dr. Plateroti removes the visible part of the lesion, as well as the tissue just below it. He applies a bandage, and you'll relax and wait while he analyzes the lesion using a high-magnification microscope. Because Dr. Plateroti sections your tumor and examines every part of it in great detail — a process called mapping — it may take some time. Dr. Plateroti carefully tracks exactly where every tissue section originated. If he finds any cancer cells, your next round of surgery starts. Using his map of the cancer cells, Dr. Plateroti removes another layer of tissue and then repeats the examination process. This cycle continues until the removed tissue shows no cancer cells. Use the online appointment tool or call Plateroti Dermatology for skin cancer help now.